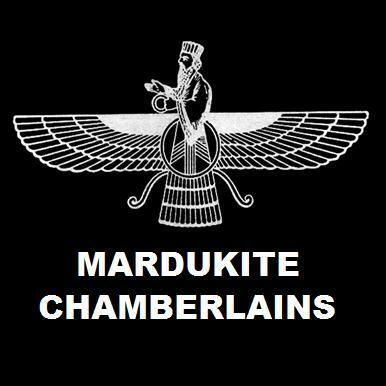 MARDUKITE YEAR-8 (2016) proved monumental in furthering the work of the Mardukite Research Organization and distribution of Mardukite Truth Seeker Press titles all over the world! Following the revolutionary CyberVamps debut volume in 2015, THE VAMPYRE’S BIBLE, the Beltane 2016 release of CYBERNOMICON completely reevaluated the complimentary synchronicity of the complete works of modern mystic and hybrid messenger Joshua Free — whether dubbed “Mardukite” or “CyberVamp” or “Systemology,” (etc.) the bigger picture for our times has become clearer than ever before! As it turned out, 2016 was a banner year for “Anniversary Editions” commissioned by the Mardukite Truth Seeker Press commemorating long-standing underground occult classics developed by Joshua Free, dating back to his years writing under the name “Merlyn Stone” in the 1990s. DRACONOMICON, first published underground in 1996 for the Mystics of the Earth (Draconic Celtic Lodge of Druids) celebrates its 20TH ANNIVERSARY this year! This original classic by neodruid Joshua Free predated the authors more recent official work with New Forest Centre of Douglas Monroe and the Books of Pheryllt literary series. JOSHUA FREE’s unpublished manuscript titled “Applied Druidology” in 2001 served as reference material for later works including “Book of Elven-Faerie” and “Arcanum.” It appeared underground under the title “Druidry” in 2012 and has now been re-released to the general public for its 15TH ANNIVERSARY edition as the THE BOOK OF DRUIDRY, complimenting a growing line of pocket eco-editions from the Mardukite Publishing Group. In addition to the CyberVamps and Pheryllt Druid paradigms, the Mardukite-specific work from Mesopotamia also saw restoration this year, including a new 5TH ANNIVERSARY pocket eco-edition of the ceremonial guide to the Babylonian Akitu New Year Festival in the BOOK OF ZAGMUK BY NABU. Furthermore, a new edition of the “Book of Sajaha the Seer” reappeared as the LOST BOOK OF SHAYAHA. Plans are still being developed for the National Mardukite NexGenCon scheduled for the August 2017 eclipse at Carhenge, Nebraska following a Wizards of the Wasteland spiritual retreat in the South Dakota Badlands. 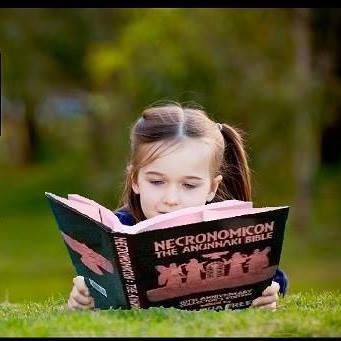 THE BOOK OF ZAGMUK (available in Babylonian Magick, Wizards of the Wastelands or the Ceremonial Color Edition) is the Official Mardukite-Anunnaki companion to the Babylonian New Year Festival, known as Akitu (Akiti) or Zagmuk, originally available exclusively to the modern Mardukite Research Organization and Mardukite Chamberlains. THE BOOK OF ZAGMUK BY NABU (forthcoming as a pocket companion) is a specially prepared ceremonial text with selected ‘tablet collections’ that combine materials from the “Mardukite Wizards of the Wastelands“ in conjunction with critical excerpts from Joshua Free’s NECRONOMICON ANUNNAKI BIBLE, essentially comprising the internal methods of the ‘Order of Nabu‘ to establish Mardukite ‘religious’ continuity in Babylon and MARDUK’s royal legitimacy at the height of the Babylonian pantheon using the Babylonian New Year Festival, Akitu (Akiti) or Zagmuk. The festival is significant for its contributions toward solidifying both the religious and political paradigms of ‘Mardukite’ Babylon. The festival is also known by its Sumerian-derived Akkadian name – A.KI.TI or A.KI.TU – meaning ‘On Earth, Life’. This large public festival observance is a reconfirmation of the supremacy of MARDUK and the Babylonian Pantheon and is probably the single most important ancient ‘holiday’ for the tradition. After the time of gods had come and gone, the priests and kings continued to observe the ceremonial customs using representative statuary to symbolized the ‘divine’ forms of Marduk and Nabu as they make a procession through the streets of Babylon and are placed in the temples to witness a dramatic reenactment of the Enuma Elis and other rites and rituals that commemorate the ‘Mardukite’ tradition (paradigm) and seal the position of the priests and king as the ‘chosen’ ambassadors and intermediaries between the ‘gods’ of heaven and the people of earth.